You can maximize the versatility of your Microsoft Surface by ensuring that you can connect to virtually any monitor, projector or television. 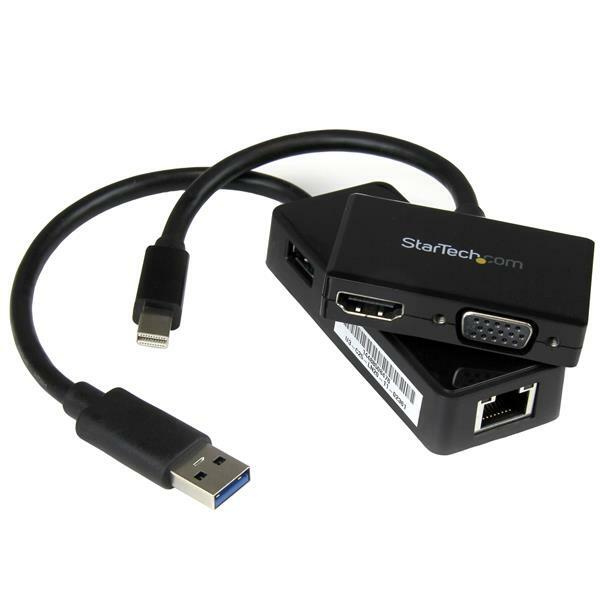 These Surface Pro accessories include a 2-in-1 Surface Pro Mini DisplayPort Adapter, ensuring you're ready to connect to any HDMI or VGA display. Plus, each adapter in this kit features a small foot print and lightweight design, making them the perfect solution when you're traveling between boardrooms, home and remote offices, trade-shows, hotels and conference centers. Your Microsoft Surface is one of the most versatile and portable computers in the world. 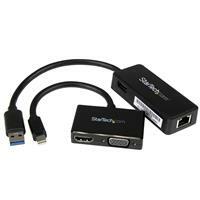 Don't be tied down by accessories that require an external power adapter, or a bulky housing. 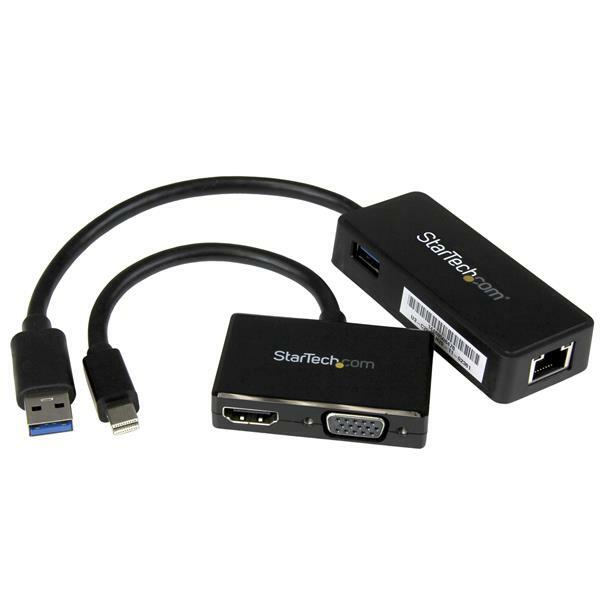 This kit adds four essential ports (HDMI, VGA, GbE and USB 3.0) from two compact adapters that don't require external power, so they easily fit into your laptop bag or carrying case. Both items in the MSTS3MDPUGBK kit are backed by a StarTech.com 2-year warranty, with the added benefit of free lifetime technical support.